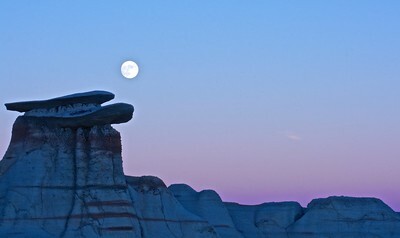 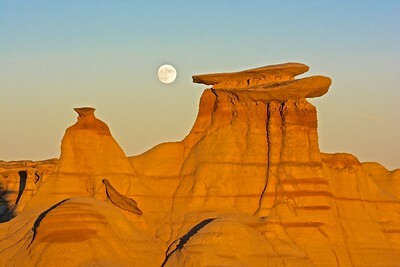 I arranged a trip to the Bisti Badlands, south of Farmington, timed to coincide with the near-full Moon. 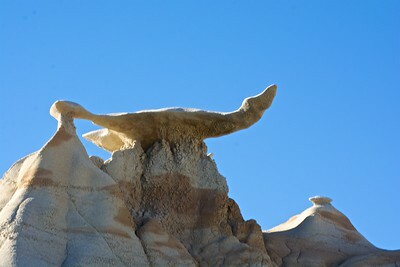 Bob Green and I traipsed around the area in the late afternoon photographing the fanciful hoodoos. 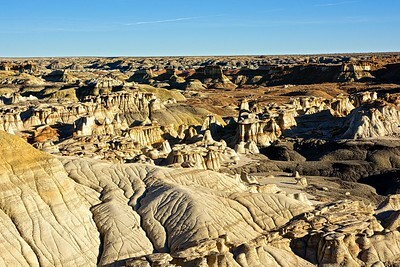 I had been here before, but this time had waypoints for some of the most interesting features; very helpful in the absence of any trails! 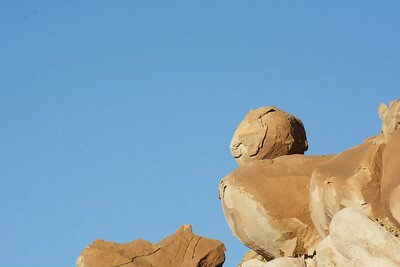 Really a nice afternoon/evening. 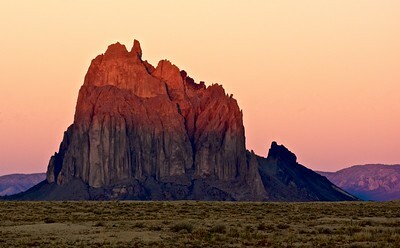 The next morning I went over to Shiprock to photograph it at dawn before returning to Pagosa Springs. 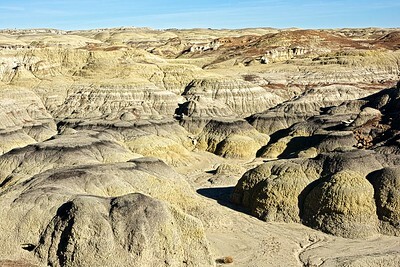 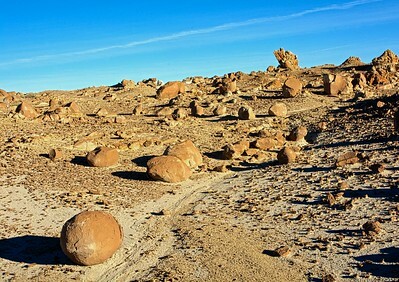 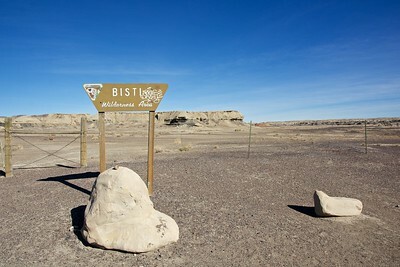 At the Bisti Trailhead, the area looks rather bleak and featureless. 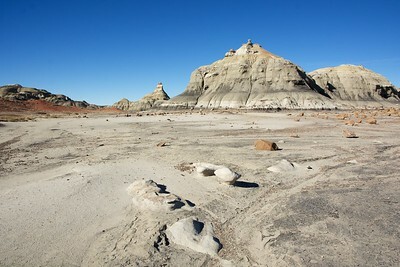 After walking up a broad, nearly flat wash, you begin to see some interesting buttes. 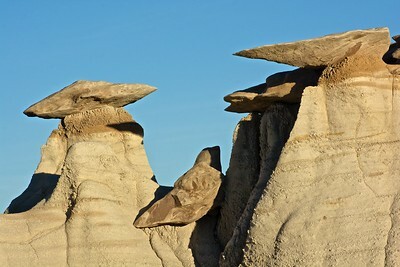 Follow a ravine to its source, and along the ridge you begin to see hoodoos such as this, "The Pedestal"
Erosion pattersn in a Bisti drainage. 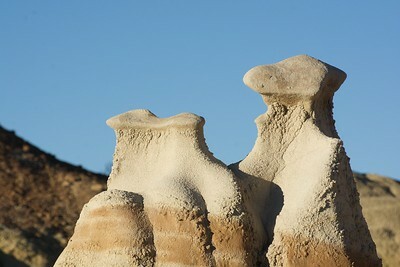 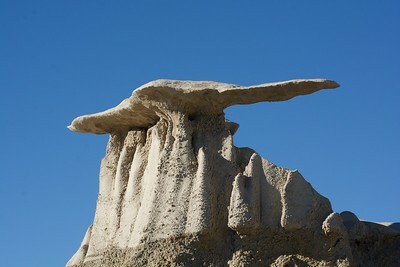 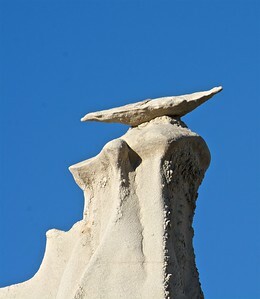 One of the Bisti "Wings"
Bisti Hoodoos. 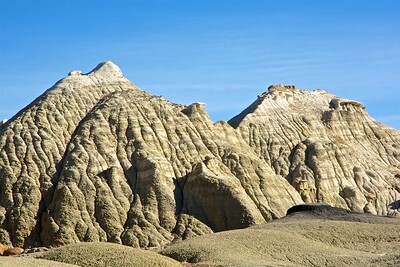 The rock is the Fruitland formation, from the Cretaceous. 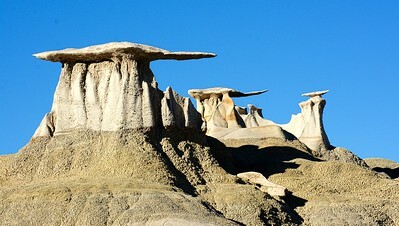 Alien Maternity ward. 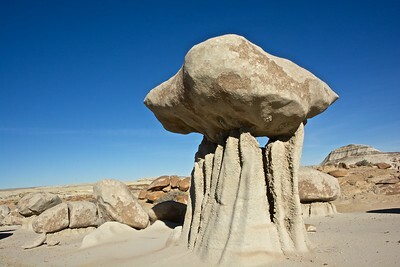 The pedestals are formed from soft, erodible shales, with a more resistant sandstone cap. 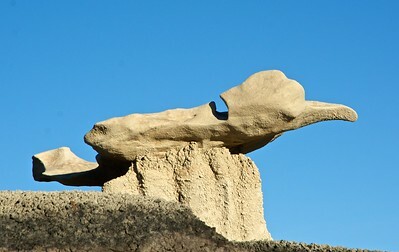 Shiprock itself has several of these volcanic dykes radiating from the main peak, looking like dinosaur vertebrate.